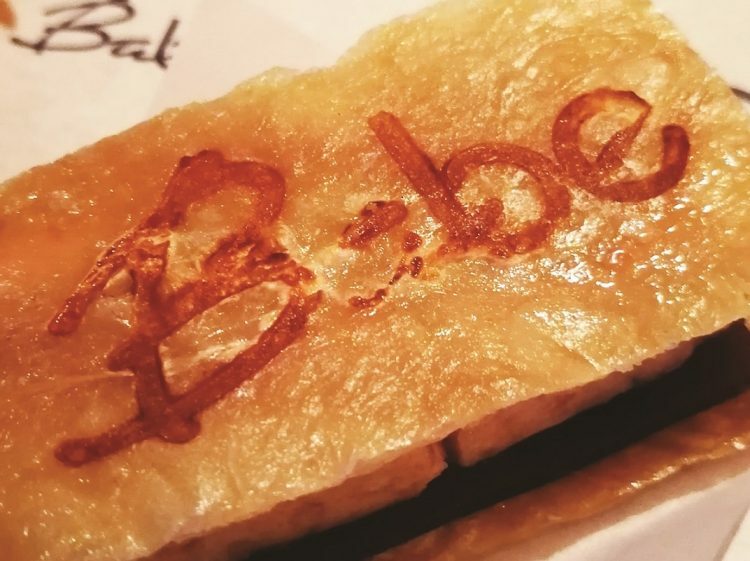 When I first visited Babe I did admit to the surprise of Chef Jeff Ramsey’s delightful ‘japas’ and the exquisite mix of flavours, textures, and temperatures for an unparalleled multi-sensory assault that they term a dining experience. So when he called up and said ‘come and have some fun!’; really, what could I say! Fun is the new ‘Fun Dining Menu’ that has been created by Chef Jeff and his team. So, a fun dinner was on the table; pun intended. Such is life but the opening gambit brought me to ‘Alice in Wonderland’ with the ‘Drink Me’ label and a couple of palate cleansing shots with undertones of tomato, garlic, and a host of other flavours. The first glass of my sake flight soon quenched my slight thirst, and the first two delights arrived. 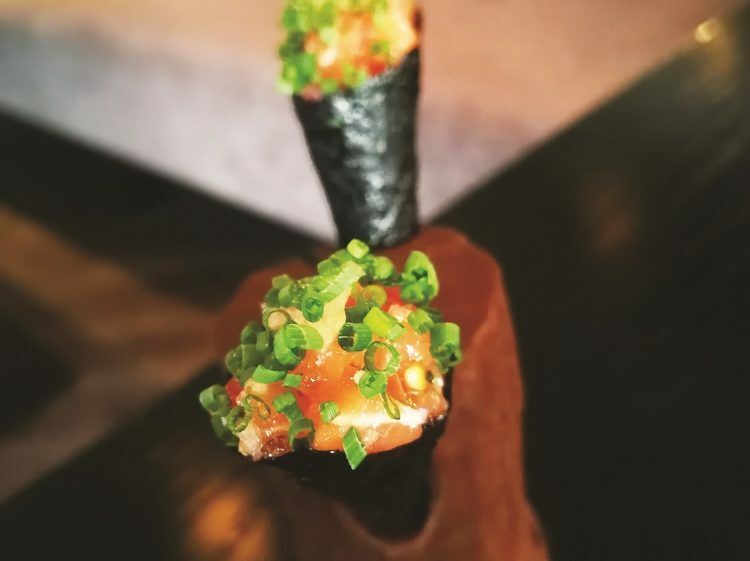 The Lomi Lomi Salmon is a Hawaiian delicacy, salted and marinated with tomato and garlic in a Crispy Nori Cone. It was a lovely first bite, followed by the Prawn Siu Mai with its overcoat of translucent purple potato formed into a cup, full of succulent prawn and delicious cous cous. Next up was one of our favourites for the evening, the Kanpachi Noodles. I had sampled this during my time in Tokyo, but never quite like this. 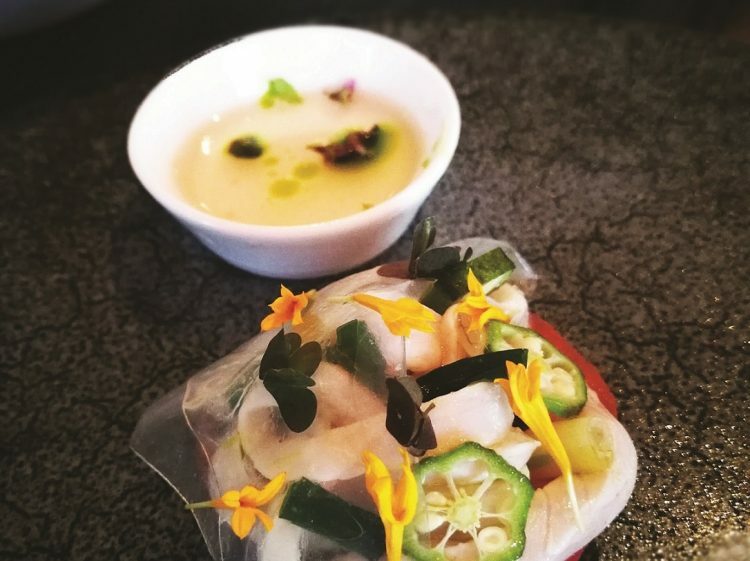 It came with fresh amberjack marinated with citrusy calamansi fruit, with tomato and basil oil steeped in Dashi for good measure. It was absolutely delicious. Following that was a lovely edible Mai Tai cocktail which we loved. 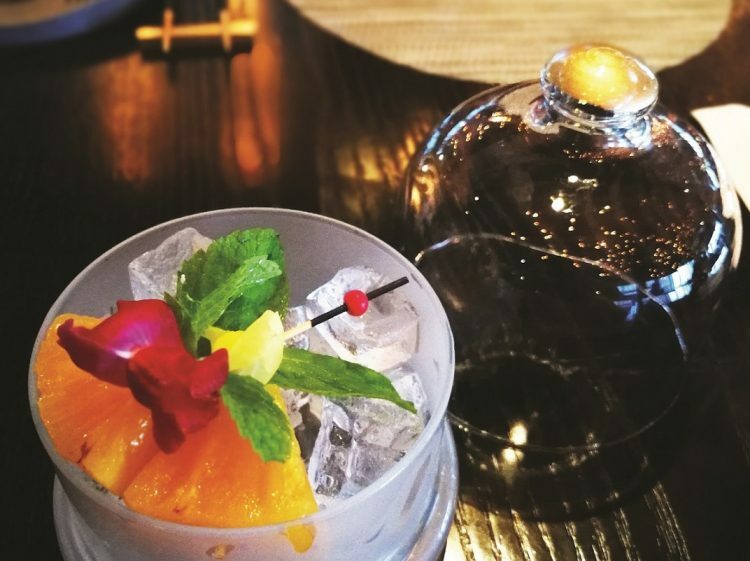 It was a simple yet tasty edible cocktail of pineapple impregnated with a classic Mai Tai. The second glass of my sake flight then arrived, and as I have always preferred the cold variety, It was the perfect accompaniment. 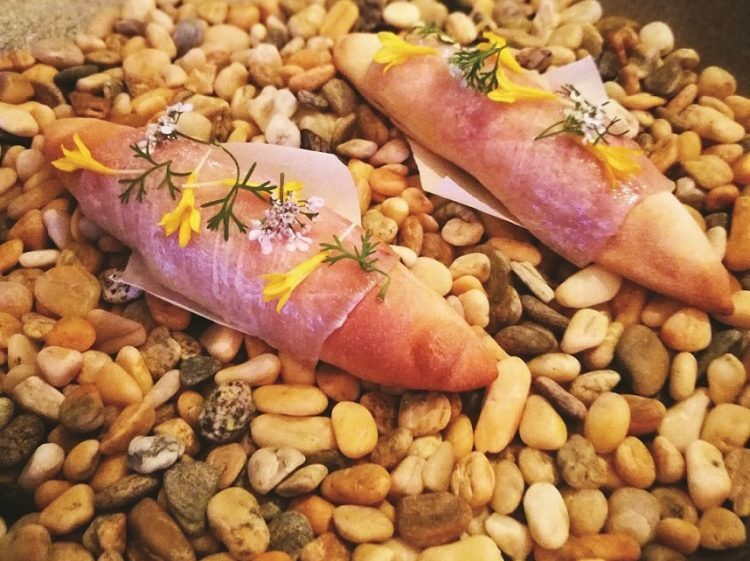 We were then served an interesting Crab Mousse & Otoro Airbread, a hollow mini baguette filled with Crab Mousse and topped with cured otoro, which is probably the most desired part of the tuna fish, its belly. It was so good, I wanted more of it! Next up was the amusingly named Duck & Coke, a beautiful crispy chicken skin wafer sandwich with foie gras, duck confit and coca cola. This only continued to show how every element of the menu highlights both a taste and sensation, and offers just enough to keep you wanting more, wholly satisfying the appetite. The next two course was one that we’ll gladly have again. It was the Steak Sandwich, a ‘transmogrification’ as the Chef called it. Instead of bread, the ‘sandwich’ was ingeniously created with the juice of a tomato (similar to a meringue) with lettuce and steak. The glass of sake was then given its third turn of the flight, and just looking at the menu for the next two courses set our taste buds into a whirl. Coming up were two of my favourites; the most amazing buttery whitefish and a variation of the theme of sukiyaki. The braised abura bouza consisted of a bursting sauce of bubbles and the vegetables was melt-in-the mouth buttery and full of flavour. 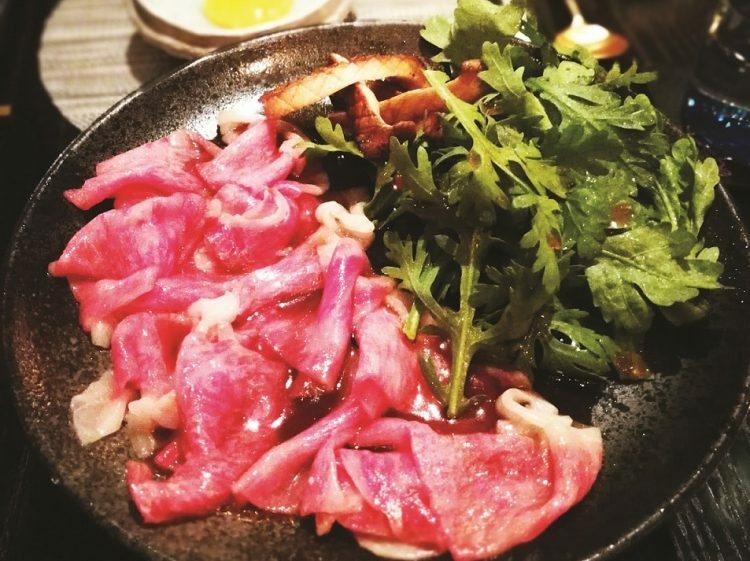 And to follow this, the heritage beef ‘kagoshima A5’ is cooked on the tabletop to your personal taste and then dipped in onsen egg, beautifully garnished. It was excellent. We were now getting to the end of our meal, a little inquisitive as to what the upcoming ‘Lie-Mau’ is. We soon found out that it was another game from the chef as the lime is a lie! After all, it’s in the name. Needless to say, this beautifully crafted ‘lie-mau’ is a calamansi and catsuri lime curd within a milk tea gummy shell nicely hosted by the kaffir lime leaves. The final dish, a strawberry shortcake, sounded simple enough. However, nothing is quite as it seems at Babe! The deconstructed dessert with a bit more transmogrification consisted of a pure strawberry sponge, almond cake with liquid sable, and pickled rose petals. A delightful way to end a fabulous meal. 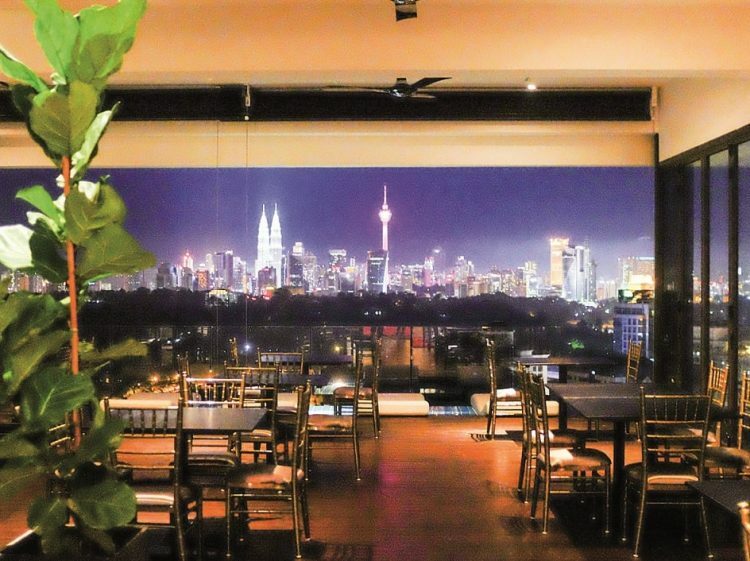 As I finished the rest of my sake and looked out over the KL skyline, I felt relaxed and satisfied, just like my first experience here. I definitely had fun at Babe. 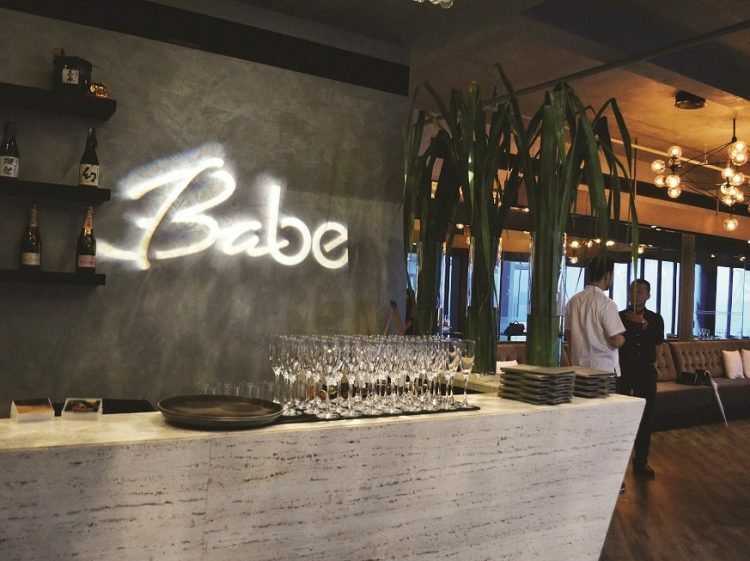 Find: View directory for Babe KL here.